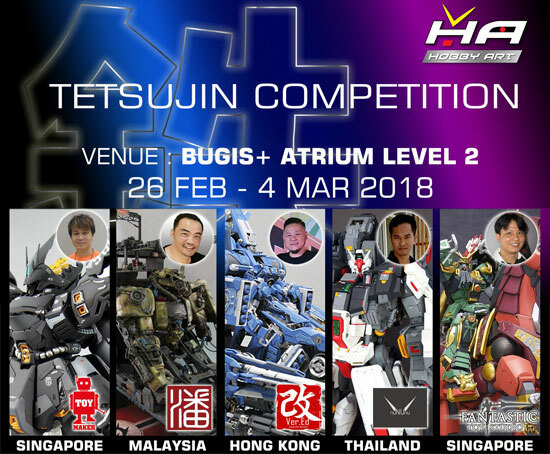 One of the main highlight is the Tetsujin competition where various entries of model kit will be entering the contest. The Judges will be around the region from Singapore, Hongkong, Thailand and Malaysia! The prize presentation will be held on 5pm 3rd March 2017. 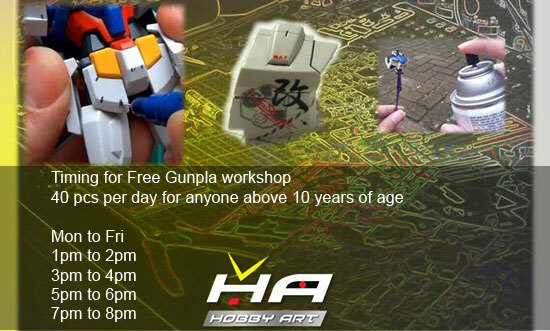 The special offer at the event are these deluxe Gunpla at the event while stock last. 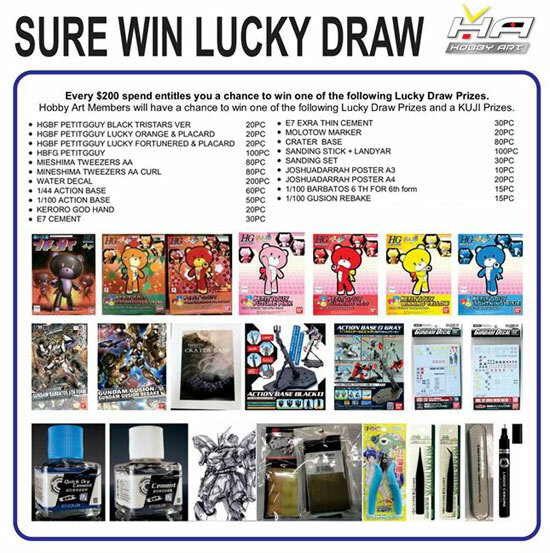 If you reach $180, you can get these lucky draw! 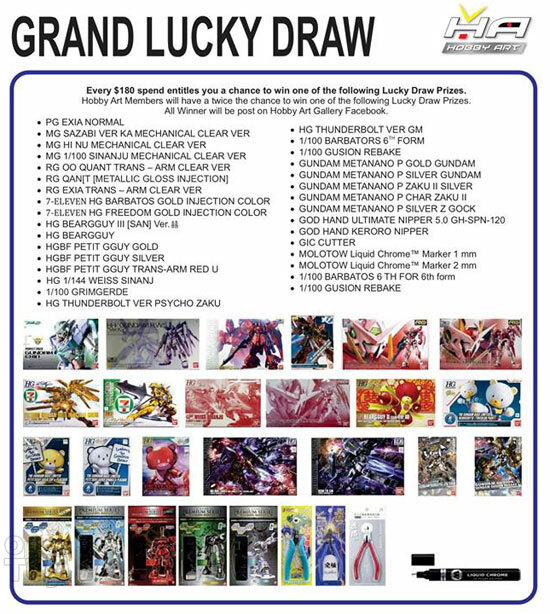 For spending $200, you can get these Lucky draw! 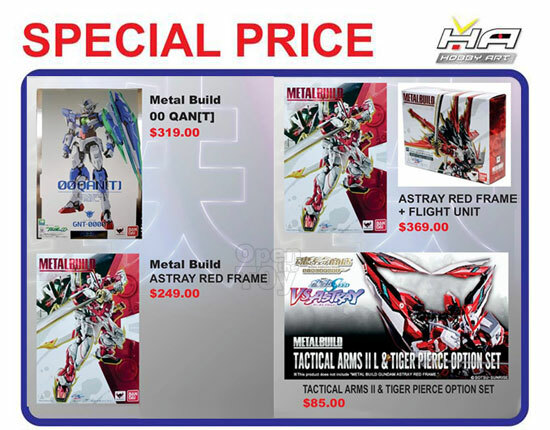 The best way is to gather what you want to buy and make a one time purchase to try your luck! 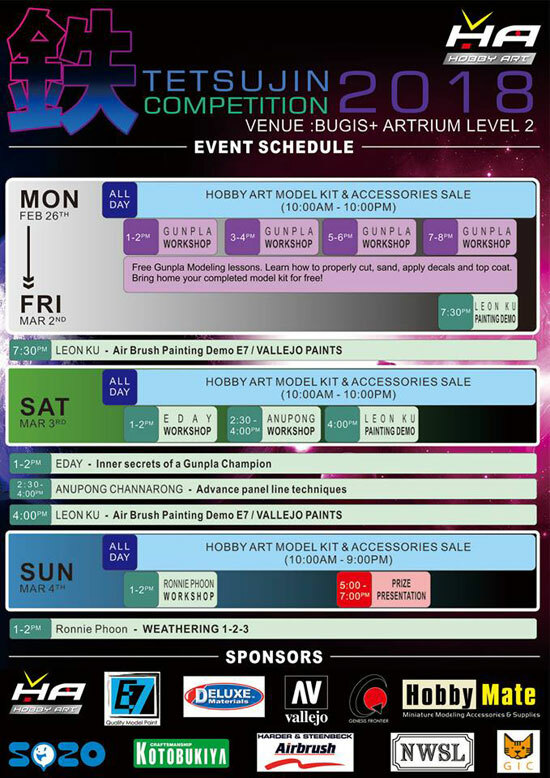 Update: Here is a review of the event!